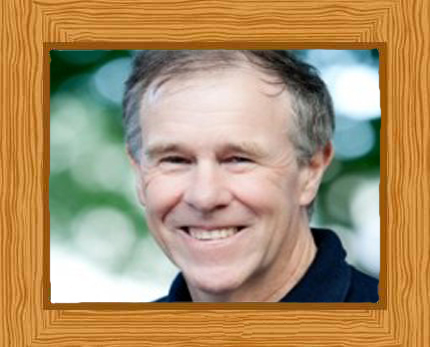 Tim Noakes is a sports scientist from Cape Town in South Africa and an emeritus professor in the Division of Exercise Science and Sports Medicine at the University of Cape Town. Known for his low carb high fat “Noakes Diet”, he has made numerous advances in the field of sports science, pushing the limits of human performance in different sporting fields. Timothy Noakes was born on July 2 in 1949 in Harare, Zimbabwe and moved to South Africa with his family as a young child. He attended Monterey Preparatory School in Constantia, Cape Town and then enrolled at Diocesan College, Cape Town, an all-boys independent school. At school Tim enjoyed sport, particularly cricket. Leaving school, he continued his education and studied at the University of Cape Town obtaining a medical degree in 1974, an doctorate in 1981 and a DSc (Med) in Exercise Science in 2002. In 1980 the University of Cape Town asked Noakes to create a sports science course and he went on to become head of the Bioenergetics of Exercise Research Unit of the Medical Research Council. Noakes recognized in 1984, exercise-related hyponatremia (EAH), a fluid-electrolyte disorder caused by a decrease in sodium levels, in four endurance athletes and his research was published the following year. His research and subsequent studies showed that endurance athletes may become ill due to excessive fluid consumption during exercise. In the 1990s Noakes co-founded the Sports Science Institute of South Africa (SSISA), together with former South African rugby player Morne du Plessis. Its ethos is to research factors influencing physical performance and health and to disseminate knowledge and skills through education. The center has published over 370 scientific articles since the mid-1990s. Noakes research led him to propose and elaborate on a Central governor model of exercise in 1997 in which the brain is the main organ that controls fatigue and so dictates how fast, how long, and how hard humans can exercise. A similar idea was initially suggested in 1924 by Nobel Prize winner Archibald Hill. Still interested in EAH, in 2005 Noakes hosted the 1st International Exercise-Associated Hyponatremia Consensus Development Conference in Cape Town. In 2007 Noakes was the medical doctor for Pugh’s one kilometer swim at the Geographic North Pole. Noakes went on to write several books, including his first book “Lore of Running” published in 1986. Mainly used by runners to enjoy, understand, and improve their running performance, it provides incomparable detail on physiology, training, racing, injuries, world-class athletes, and races. He also published “Waterlogged: The Serious Problem of Overhydration in Endurance Sports” in 2012 where he takes people on a very informative journey into the world of hydration for athletes. He also states that drinking too much water after a marathon can have negative effects on the body and on the recovery of the athlete. Noakes worked with a nutritionist and other chef-athletes for his most famous work “The Real Meal Revolution” in 2014, a nutritional science book endorsing a low carbohydrate and high fat diet. Noakes was awarded the International Cannes Grand Prix Award for Research in Medicine and Water in 2002. In 2008 he also received the Order of Mapungubwe, Silver, from the President of South Africa for his “excellent contribution in the field of sports and the science of physical exercise”. In 2012, he received the Lifetime Achievement Award from the National Research Foundation for his contribution to sports science research. In 2014 he was awarded the Southern African Association for the Advancement of Science (S2A3) Gold Medal.